Packaging 1 L bottle & 5 L bottle. 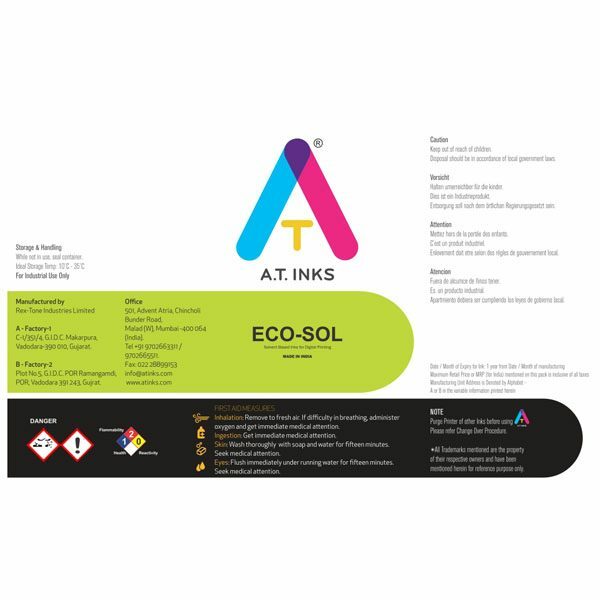 AT Inks, Eco-Sol 1201 Range of Inks are inks designed specifically for the Xaar* 1201 printheads. 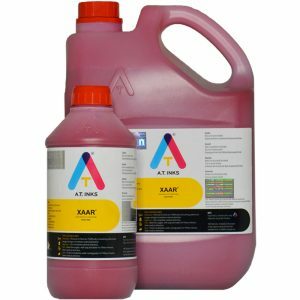 Xaar* 1201 printheads is a new product in the Xaar* family of printheads and AT inks has worked closely with the Xaar India/UK teams to fine-tune and develop this ink. AT Inks, Eco-Sol 1201 inks come in two variants i.e. Eco-Sol Max 1201 and Eco-Sol DX 1201.